Kleefeld on Comics: On Business: Book Opportunities? I first actually became earnest in writing a book about fandom in 2006. That's why I started this blog, in fact: to have a place to record odd notes and research that I might want to use, and to start building a platform/audience from which I could be seen at least as something of a writer, and not just some schmuck who popped up out of nowhere. But my interest in fandom went back a few years prior to that -- I had actually written an article about it in 2003 that was to be included in a book project that ultimately was never published. But at the time, there was almost nothing written on the subject. Doc Jenkins ground-breaking Textual Poachers had come out in 1992 and his co-authored follow-up, Science Fiction Audiences, was out in 1995, but there wasn't much else. At least not in terms of long-form pieces dedicated exclusively to fandom. Comic Book Fanthropology wasn't revolutionary in the space of fandom studies, but it was on the leading edge. That's strange to me because fandom was obviously around for decades before. There had been a few histories of science fiction fandom as early as 1969, and comic fandom started getting some dedicated histories in 2000. Even in the past 2 or 3 years, the study of fandom has increased exponentially and the number of books on the subject has skyrocketed. Where I'm heading with this is that, here we are in the latter half of 2015, and there remain only five books about webcomics ever published, and three of them are out of print. Now, granted webcomics are a quickly evolving art form, and print is notoriously slow by comparison. But how is that any different than a book about computers in general? 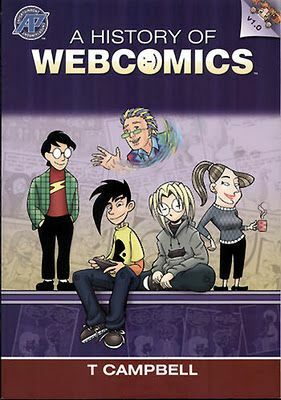 Isn't there a big, gaping opportunity here for books about webcomics? 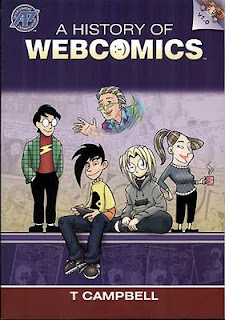 I think we're on the cusp of a wave of books and research about webcomics, not unlike what we saw with fandom. The question is: who will be able to capitalize it on it the best? On -isms: Is Supergirl Feminist? On -isms: They Shoot Black People, Don't They?